Thursday 15th February 2018 – 3.30-5.30pm – Exeter Phoenix Cafe Bar. Dreadnought Co-Director Natalie McGrath and Dr Jana Funke from the Institute of Sexology (University of Exeter), will host the Rebellious Sounds Archive, whilst sharing Jana’s research of LGBTQ women from the women’s suffrage campaign at Exeter Phoenix. Come along, say hello and be part of the conversation as it is a drop in session. You will also be welcome to experience the listening booth’s stories of the Rebellious Sounds Archive. It might be you also have a story of activism to contribute or stories about LGBTQ women involved in the women’s suffrage campaign. So we would love to hear from you or to meet you on the day. This event is free and supported by Heritage Lottery Fund (HLF) and Exeter City Council’s City Grant Fund. The Rebellious Sounds Archive will also be at Exeter Pride 2018. It is no longer a secret that a number of women involved in the early twentieth-century women’s movement had sexual and romantic relationships with other women. 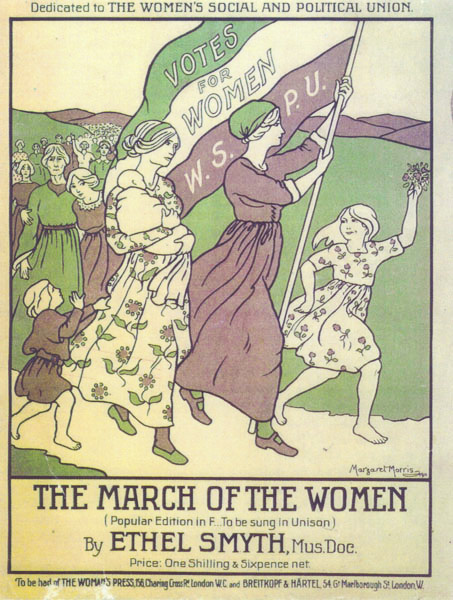 However, the various and often conflicted ways in which these women responded to, negotiated and shaped suffrage politics – individually and collaboratively – have largely remained obscure. Join us for an informal conversation to find out more about women like Ethel Smyth, Christopher St. John and Radclyffe Hall, three artists and writers who moved in the same social circles and were all, to very different degrees, involved in the campaign for women’s suffrage. What can their lives, writings and politics tell us about the connections between LGBT and feminist histories and politics in the past and present?